The Sonata in A minor was never published and exists only in a copyist’s hand. As a companion to his recording project Mark Anderson has created a modern edition of the Sonata, which is available from Nimbus Publishing. The first movement, Allegro molto e passionate, seems to be in a rather unconventional style for Röntgen. The composer emphasizes texture over melodic and harmonic inventiveness, and creates a real tour-de-force in the first movement. The work opens in the tonic key of A Minor with a brooding and undulating motif that Röntgen repeats before dealing a sudden dynamic explosion. The second movement is comprised of a set of variations based on what the composer terms an “Old Dutch” theme (Alt Hollandisch). After reaching a thunderous climax in Variation V, the movement gradually dissipates through expansively rolled chords to a tranquil close. The third movement, a short Tempo di Menuetto in the key of G Minor, is based on a seven-bar folk theme. The Finale embodies a churning flow and energy similar that that found in the final movement of Chopin’s Sonata No.3 in B Minor, Op.58. A long, lyrical second theme enters followed by a return of the first. An imitative section enters that builds into a massive restatement of the main theme. Eventually, Röntgen combines the two themes in a triumphant coda before the work comes to a dark and dramatic end with a broad statement of the main theme of first movement. 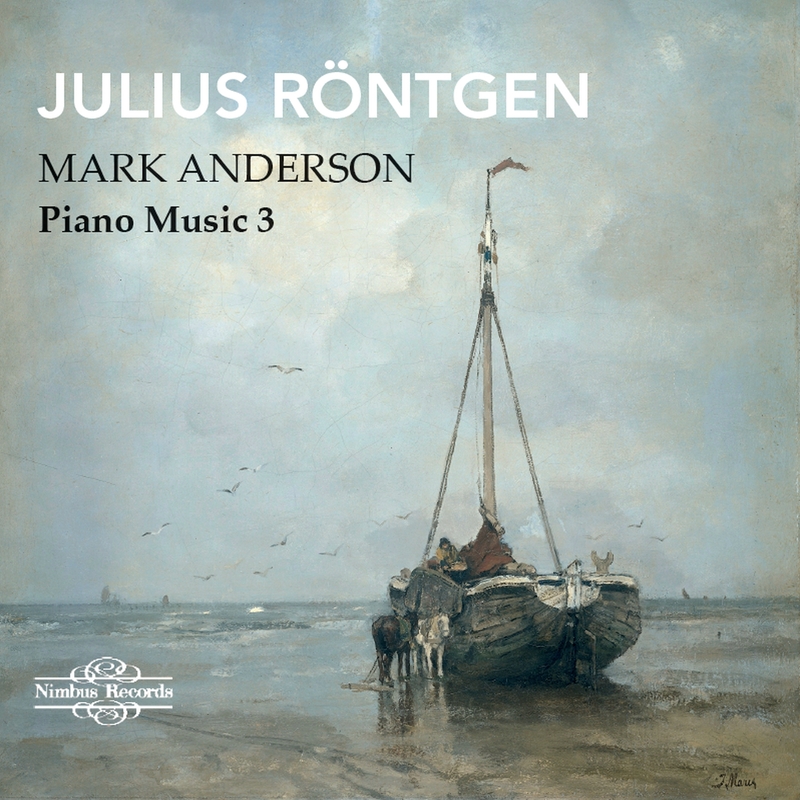 Like the first volume in this series Mark Anderson and Nimbus prefer a cross-generational approach to Röntgen’s piano music, combining a work written in his teens with one written 45 years later, and adding an unpublished Sonata in A minor for good measure. Starting with the 1872 Sonata in A allows one to hear the impression made on the young composer by the music of Schumann. The youthfully strenuous and serious-minded elements of the music – the opening movement principally - are contrasted with an attractively songful element elsewhere, such as in the piquant Scherzo. Building up a Chorale via pizzicato effects in the Adagio, Röntgen proves he can do development with a certain confident brio and though the finale’s too long-winded for its own good, the Sonata shows a high degree of accomplishment from a 17-year-old. In the middle of the War he turned to a Sonatine in E, one of six he was to compose in 1916: his facility and fecundity knew few impediments. This is fresh-limbed writing, affectionate and unpretentious, but the most characterful moments come in the finale where Röntgen draws on native Dutch dance motifs. 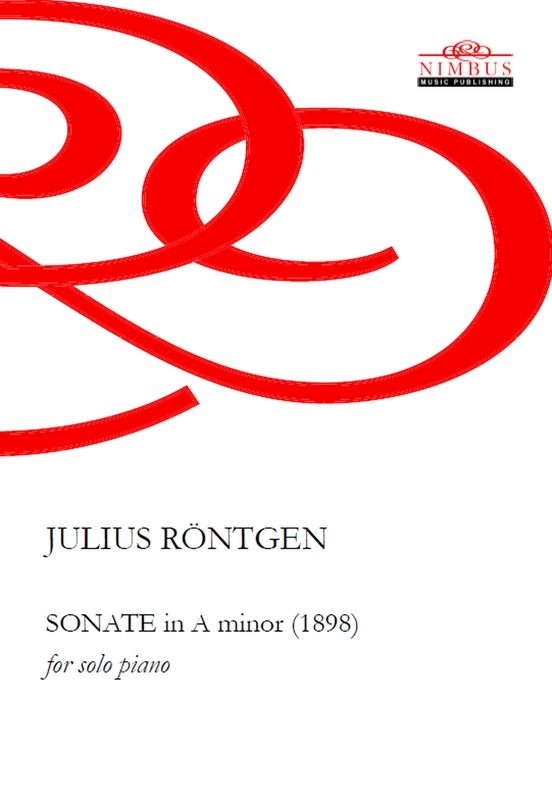 Whether deft or grand, this is another example of Rontgen’s almost remorseless self-confidence, not least in the fugato-sounding lines or the beautiful lyricism embedded in the music. After a brisk Minuet the finale seems to coalesce the twin influences of Chopin and Brahms. An uneven work it may be, but it is surely too packed full of interesting moments to have been overlooked for so long. It helps to have so idiomatic a performer as Anderson on hand.